Gladiators is an Australian/New Zealand/Europe/Canadian Private Military Company, the big time zone difference will be very useful for bigger ships and bases we may own in game! We will be active in all aspects of the game but we expect our members to be trained as either Fighter Pilot or Marine as well! Besides good pilots, Gladiators is looking for members that are dedicated to the FPS part of star citizen. 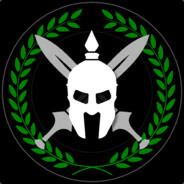 We are looking for members that already excel in other games like Counter Strike, Arma Battle field etc. Please feel free to invite your friends as this is the only way we can get the group to grow! Create your free Star Citizen account at https://robertsspaceindustries.com/enlist?referral=STAR-XX5Y-39CY and join the fun! Some nice Cinematics featuring the Aegis Hammerhead! 1500 members of which 703 main members! Lately Star citizen has been a lot more playable with a lot more content. We have also been doing a lot of events. So If you havent tried Star Citizen for a while, this would be a good moment to pick things up again! Also busy with a redesign of the gladiators website, this will go live very soon! "We are a Star Citizen group that is spreading the word of this great game in the making."